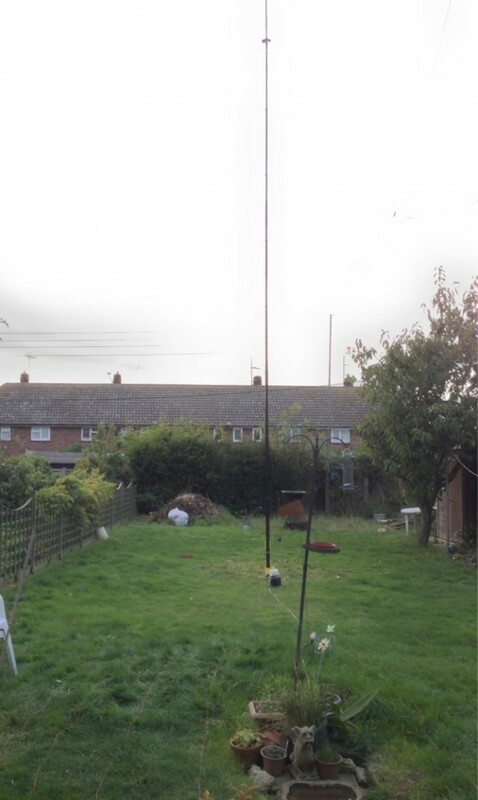 Last weekend, following the Martello Tower Group DXpedition to Herm Island, I put up a 40m vertical in my back garden. Not just any 40m vertical, it’s exactly the same one we used to great success on Herm. 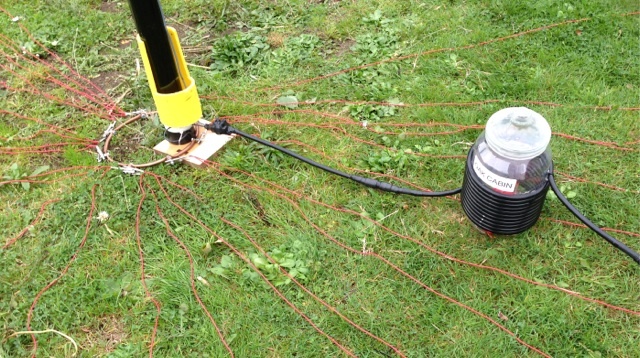 It’s made up of a 12m Spiderpole with a 1/4 wave vertical element and around 30 radials. The plan is to leave it up over the winter period (or at least until my XYL insists I take it down) and hopefully I’ll be able to pick up some new DXCC entities on 40m. It’s the next band I’m working towards my DXCC award on and I’m confident it will help me to complete that. I used the same choke arrangement we used while on Herm – an ‘ugly’ choke wound on a sweet jar and a radial ring with the radials attached via crocodile clips. The choke even still has the sticker on showing which cabin we were operating from on Herm! The first thing I did once it was put up was to check it with the analyser. 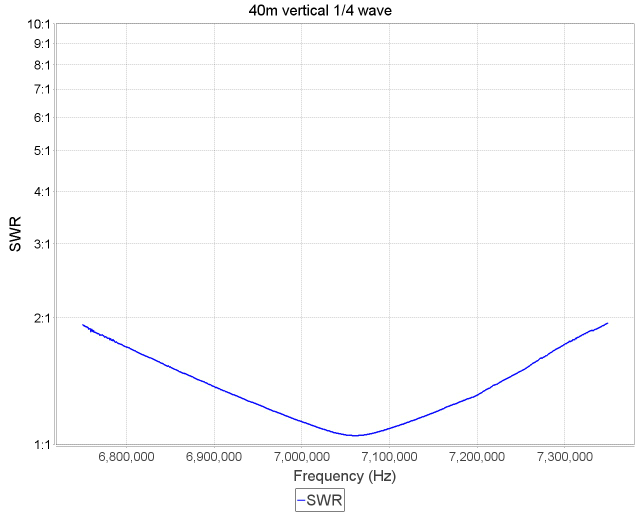 I didn’t tune it at all, just used exactly the same length element we’d used while away and although I could probably lop a couple of inches off to bring the SWR dip right into the centre of the band, I decided this was good enough. This weekend is the JARTS RTTY contest and the following weekend is the CQ WW SSB contest so I’m really hoping that this aerial will perform better than my doublet.